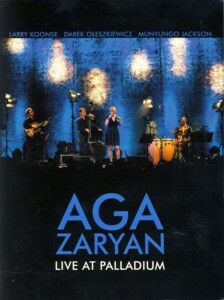 This is the fourth album by Polish Jazz vocalist Aga Zaryan and her first live recording, captured at the Warsaw's Palladium club. She is accompanied by a trio of excellent musicians: guitarist Larry Koonse, bassist Darek Oleszkiewicz and percussionist Munyungo Jackson, who all participated in the recording of her second album "Picking Up The Pieces", recorded a couple of years earlier in the USA. The album comprises of thirteen tracks, spread over two CDs and a DVD with the video of the concert, which has the same musical content and some bonus material with artists' interviews. The music originates mostly from the second album, with a couple of earlier songs form the debut album, one instrumental piece, which opens the concert and one previously unrecorded song (by Stevie Wonder), which closes it. It takes balls of steel (especially for a woman) to face a large crowd and being able to mesmerize it with such a delicate music, which is based on aesthetics and finesse and requires total silence and complete attention from the listener. There are but a few female vocalists able to perform such magic on stage and Zaryan is certainly at the very top of this exclusive guild. The three master musicians accompanying Aga deserve of course a large piece of the praise, especially Oleszkiewicz, since lengthy parts of the concert are simply duets between him and the singer. His playing is way beyond virtuoso bass performance; it is simply the vehicle carrying this entire show on his shoulders. His empathy and telepathic conversation with Zaryan and the other musicians is simply sensational. Zaryan's performances are simply breathtaking from start to finish. She is much more adventurous here than on the studio albums, using her full vocal range as well as creating a panorama of sound effects using her voice. Her total control of tone, expression, volume and theatrics is masterful, as is her ability to switch moods and atmosphere. She simply holds the audience at the palm of her hand. Although the album brings little new material, it summarizes perfectly the first phase of Zaryan's career, where she concentrated on her vocal interpretations of Jazz standards. 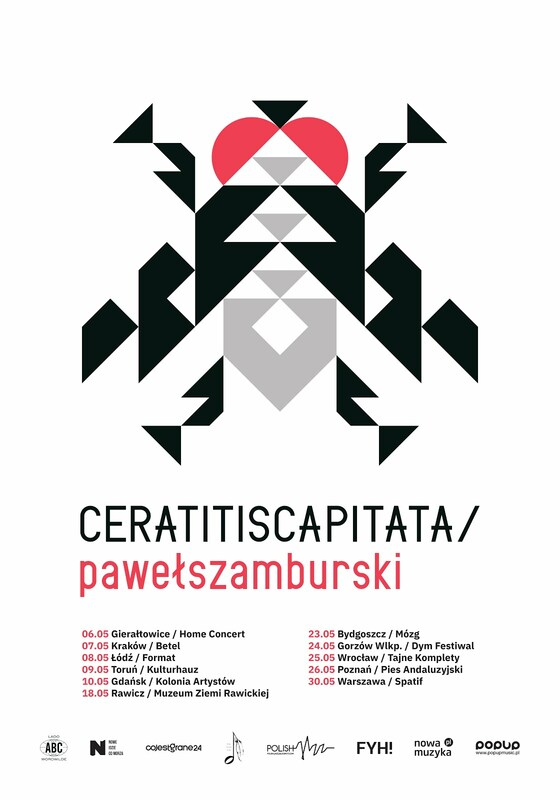 The next phase, which started with the third album, was about to expose her also as lyricist and a Jazz and Poetry artist, taking her right up to the very top of the Polish Jazz scene. When the legendary Blue Note label signed Aga Zaryan as its recording artist, it was a culmination of the first decade of her career, well earned and truly deserved, as this album proves beyond any reasonable doubt. In retrospect this is a wonderful document, a time capsule preserving magic moments, which are always associated with sublime pleasure, when revisited. I simply can't imagine anybody could resist Zaryan's charm and talent for long, so give in and grab this crown jewel as soon as you can – satisfaction guaranteed!